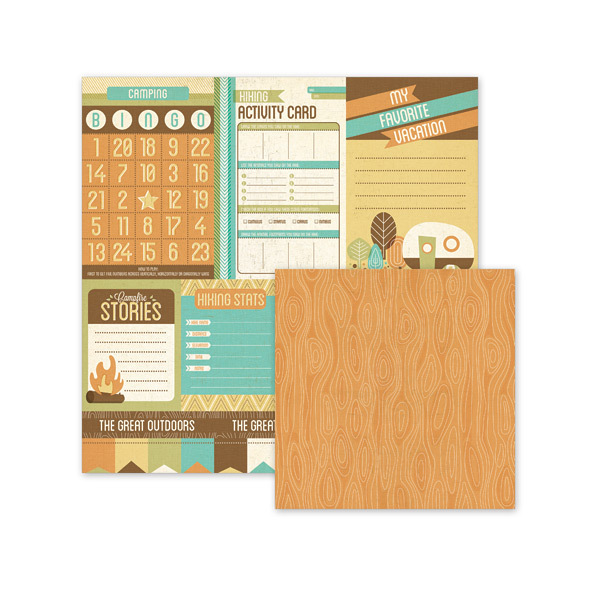 Good morning, Scrapbookers! 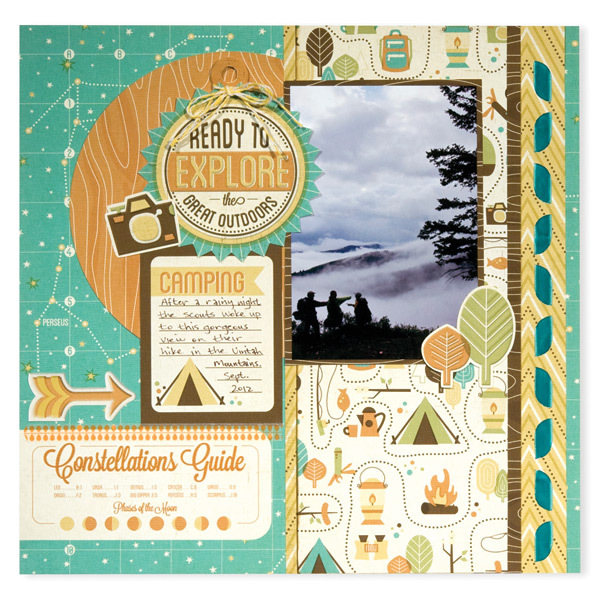 We have a new layout for you today from We R Memory Keeper's Design Team using their newest collection, Happy Campers. How cute is that?! 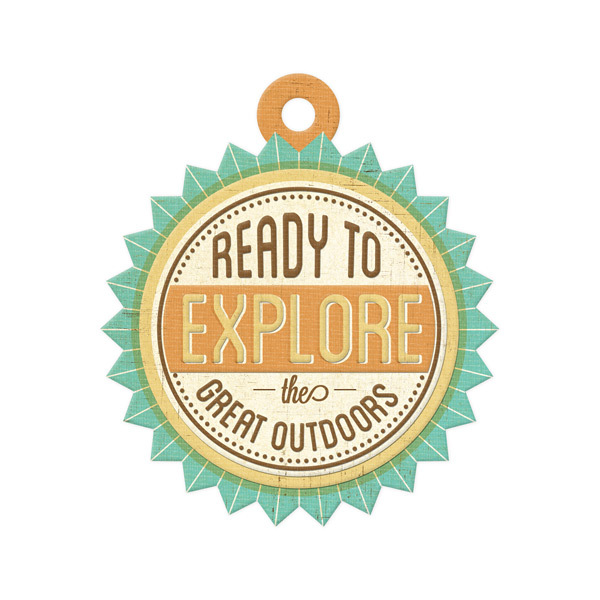 It doesn't matter if you prefer sleeping outside under the stars or being snuggled up inside a cozy tent, camping is one of those adventures that appeals to most. 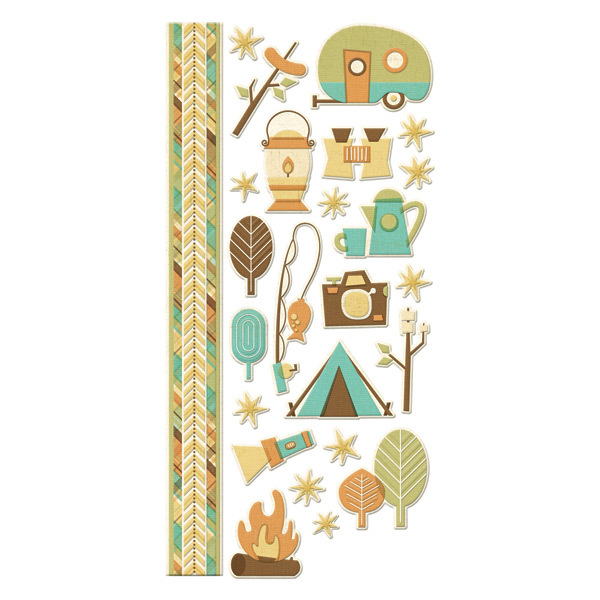 Keep the adventure alive with the Happy Campers collection. 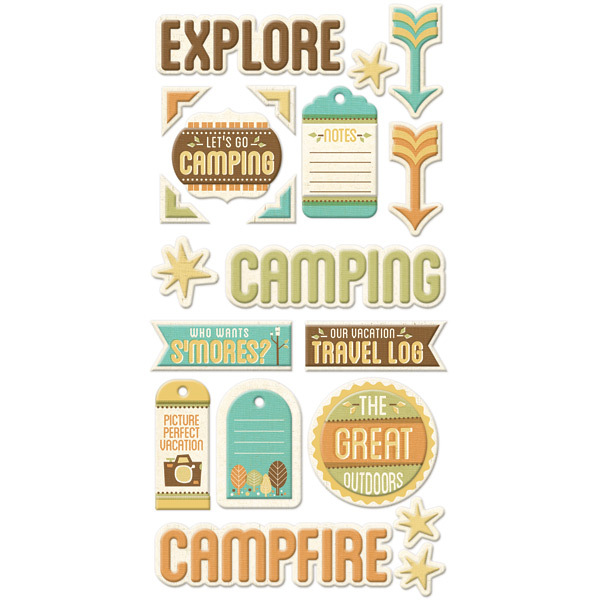 This collection takes a whimsical and fun approach to camping with icons reminiscent of hiking, star gazing, camp fires, and who couldn't resist - smores. Look for an earthy color pallet mixing various shades of brown with a light touch of green and aqua. 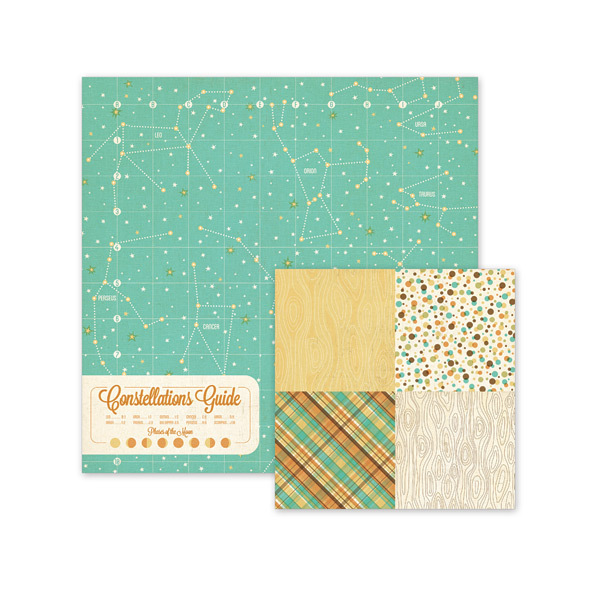 This collection also features a variety of textures that would be seen during any outdoor adventure. Stop by Creations Galore at 3164 Coronet Way in Green Bay, Wisconsin to see the full collection!